ST. GEORGE – President Donald Trump is moving to shrink the Bears Ears and Grand Staircase-Escalante national monuments, Sen. Orrin Hatch’s Office announced Friday. The decision follows recommendations to downsize the monuments made by Interior Secretary Ryan Zinke earlier this year. “I was incredibly grateful when the president called this morning to let us know that he is approving Secretary Zinke’s recommendation,” Hatch said in a statement. Gov. Gary Harbert said in a statement Friday that the president called him to discuss the recommendations to shrink the two national monuments. He also said he appreciated the Trump administration’s taking local concerns into consideration when dealing with such a complex issue. “While we do not yet know the specifics of their final plan, I understand from our conversation that any final decision will honor our recommendations,” Herbert said. Zinke made the recommendations to shrink the two monuments in September following a review of 27 national monuments ordered by Trump in April. Nevada’s Gold Butte and Oregon’s Cascade-Siskiyou have also been recommended for downsizing. The two Utah monuments encompass more than 3.6 million acres — an area larger than Connecticut — and were created by Democratic administrations under the Antiquities Act, a century-old law that allows presidents to protect sites considered historic, geographically or culturally important. With Bear Ears at 1.3 million acres and Grand Staircase Escalante at 1.9 million, it has been argued by the monuments’ detractors that the scale of the monuments go far beyond what is necessary. 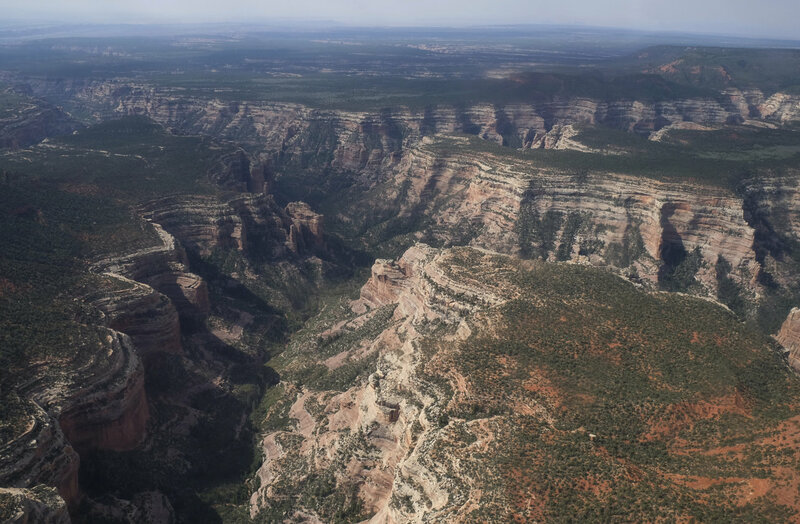 Bears Ears, designated for federal protection by former President Barack Obama, totals 1.3 million acres in southeastern Utah on land primarily in San Juan County that is sacred to Native Americans and home to tens of thousands of archaeological sites, including ancient cliff dwellings. In a statement issued Friday, the San Juan County Commission praised Trump’s decision to approve Zinke’s recommendations. 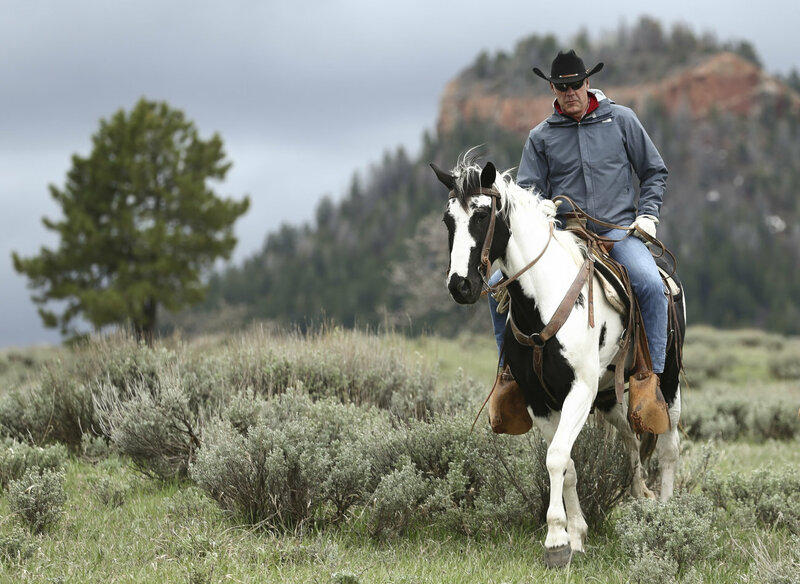 “As a commission, we are thrilled the years of meetings, countless hours of discussion and tirelessly dedicated advocacy has resulted in our voices being heard by President Trump and Secretary Zinke,” the commissioners said. “We take heart in our shared belief that the people of San Juan will continue to take special care of these magnificent lands. This is our home, no one wants to see it protected and secure for future generations more than we do,” they said. 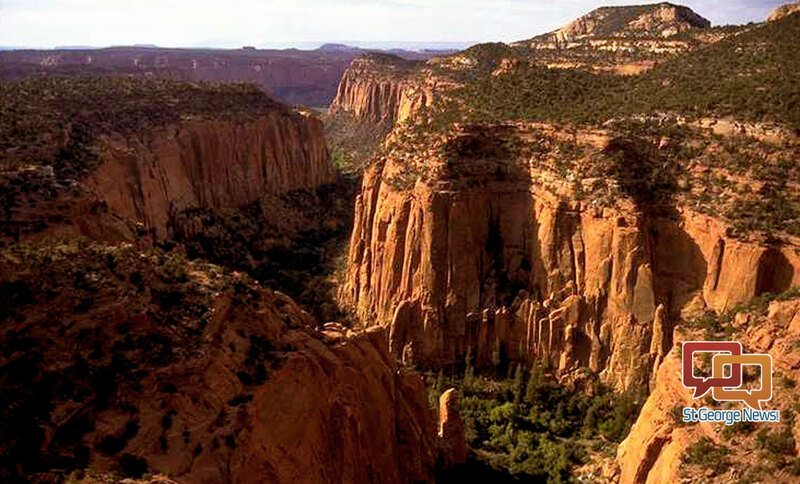 Grand Staircase-Escalante, set across Kane and Garfield counties, includes nearly 1.9 million acres in a sweeping vista larger than the state of Delaware. Republicans have howled over the monument designation since its creation in 1996 by former President Bill Clinton. The establishment of the monument has been blamed for eliminating timber jobs once held in Garfield County and negatively impacting the county economy due to how it has been managed. “We are thrilled the Department of the Interior and President Trump are looking for ways to improve the situation,” Garfield County Commissioner Leland Pollock said Friday. Pollock said he hopes issues related to the Grand Staircase-Escalante National Monument will gain more exposure and potentially be resolved as the Trump administration gives it a closer look. Such issues include revising the monument’s management plan, he said. Herbert said during one of his monthly news conferences that he believes Grand Staircase-Escalante could be broken into smaller monuments. There have also been reports by media outlets that Bears Ears could be reduced to under 200,000 acres. Specific details regarding what the new size and boundaries of the monuments may be have yet to be released by the Trump administration. Supporters of the two national monuments are less than thrilled with the day’s news. KSL.com reported that Scott Groene, executive director of the Southern Utah Wilderness Alliance, said a lawsuit is being drafted and will be ready to file once Trump makes an official announcement. Associated Press reporters MATTHEW DALY and MICHELLE PRICE contributed to this story. And nary a liberal voice will be heard in this comments section giving President Trump credit for doing something that shrinks the government and gives something back to the people. Complain, complain, complain, that’s all they ever do. He’s not giving it back to the people. The American people already own it (not just Utahns). He opening it up for private exploitation. The exploited lands are not going to be available to any Americans, liberal or conservative. When the Federal government takes land it does not belong to the ‘people’ it belongs to agencies. That is what socialism and big government does to a country. Far too much land in the west is ‘owned’ by government agencies. People are jailed, economically raped, and lives destroyed when government rules all. Now, we all we pay through the nose and many will never be able to afford visiting federal lands that you claim the American people already own. The politicians have been poor stewards of the monies they already collect and now they want more. The government agencies own 47% of the American west. Enough is enough, time for them to return much of it to the real people, not political agencies. People living and working the land is not exploitation despite what the progressives have been teaching since Engels and Marx. It’s called living and working. The locals never owned that land. It was always owned by the American people through the federal government. If they are going to return it to anyone, it would have to be the Native Americans. The locals ancestors defeated the inhabitants of the land and took possession of it. We won and have paid the indians ever since then. Get over that. Since when do the winners have to compensate the losers. Sorry folks. ALL land belongs to the U. S. government. We the people do not have the right to own land, just a privilege the government lets us have. Thus, when these big corps start drilling for oil, gas and coal, you essentially become neighbors to a foreign landlord who gives no witt what you think. Enjoy. Sorry Pheo, none of us “own” federal lands, we are just silent caretakers. We share it with every taxpayer from shore to shore. Is it truly being given back to the people if it will be mined for coal and the profits will go to a large mining corporation that will probably avoid taxes? I hope we will also get a healthcare bill passed since the air and water will be polluted. Coal mining – to feed directly into the Colorado River. Not a liberal, much to the disappointment of NickDanger. Travel over to Page, AZ and get out and smell the pollution down by the power plant. Travel Rt. 95 through the Bear’s Ears section of Utah and you can smell fuel for miles and miles and miles and miles. It is unfortunate that most people who DONT WANT this give away to big business will have to eat and drink from the same trough as the ignoramuses who support such a foul greedy unprincipled group of representatives. The land belongs to Utah. Let Utah manage it. Illegal federal land grabs help no one. Glad this one worked out for Utah. Yeah well now John Exxon Mobile or some coal company from Kentucky can move in. Ummm > can smell the methane now. Hope your house is closeby so you get the firsthand benefits of coal ash water and methane air. Hey jaybird, take your liberal talking points and stuff them, That won’t happen Henny Penny ! You just don’t have a clue, do you? Pheo: Maybe you need to start a movement. You could call it Red live’s land matters. What do you think??? You completely miss my point. I’m not saying we should give the land back to Native Americans. I’m just saying they have more of a claim on the land the the state of Utah. You can’t “return” something to someone unless they previously possessed it. It hasn’t ever belonged to Utah nor does this announcement change that fact. With or without the monument its still federal land. This is a great victory for state rights and local control and it won’t jeopardize any artifacts or ancient historical sites. The designation by BHO was a power play with partisan political contempt as the driving motivation. Everyone wants protection of archiological history but overreach by people in Washington DC, puts control in the wrong hands. The sites are intact after hundreds of years “unprotected” and will remain so without politicalizing the process. Have you explored much of the area? I only have about 50-75 days exploring archeological sites there and I think its fair to say that “most” haven’t been well protected. Many have been desicrated and looted for a century. I am not sure what is the proper answer but to be clear the monument change doesn’t give any land to Utah since none was “taken” in its designation. It stays in federal ownership without Congressional legislation. I don’t remember where in the Constitution the government is given this authority. And up will go the signs that say “NO TRESPASSING” and in will drive the equipment. It will benefit only a few of Hatch’s cronies the rest of us will be left in the dust. Here is what is going to happen:. Trump makes an executive order that changes both monuments. A group sues. A judge makes an injunction. It all remains in holding as it was before Trump’s decision until the court decision. That will take years. Congress will make symbolic gestures during budget talks to underfund the monuments. Hard to know beyond those.